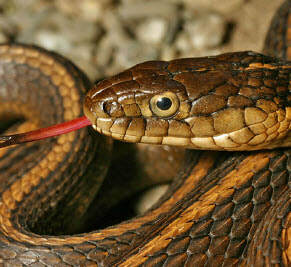 Lives and breeds in grassland habitats. Also found in agricultural and range lands. Potentially nests and overwinters in agricultural fields, oak woodland and vernal pool complexes. 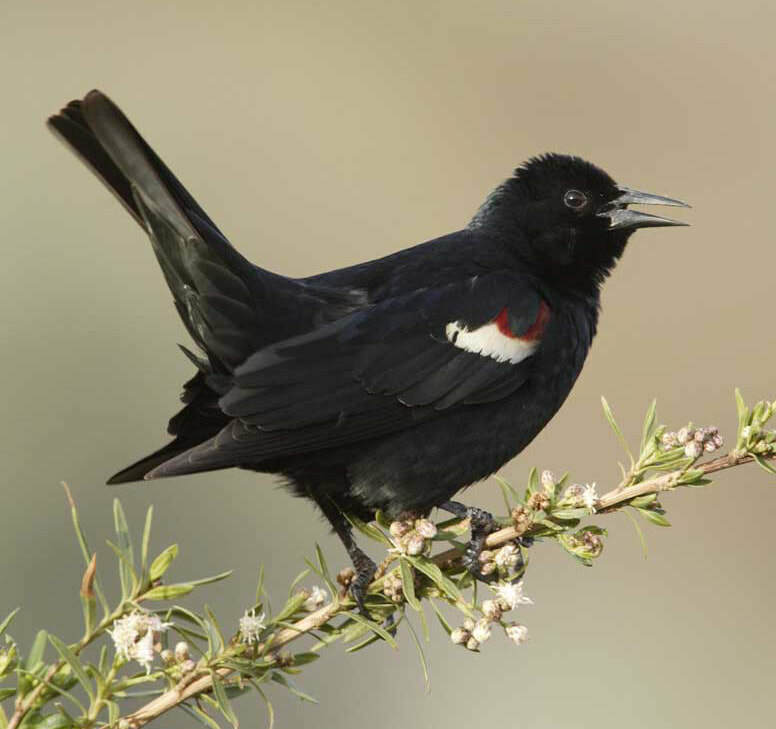 Nests in marsh complexes in the valley and foothills where there is open accessible water; protected nesting, (such as flooded, thorny, or spiny vegetation); and suitable foraging habitat. Foraging habitats in all seasons include annual grasslands; wet and dry vernal pools and other seasonal wetlands; agricultural fields; cattle feedlots; dairies; and occasionally in riparian scrub and marsh borders. Nests and inhabits freshwater marshes found in perennial wetlands with standing or flowing water dominated by dense vegetation. grassland, including vernal pool complex grassland, and field agriculture cropland foraging habitat in the Valley. 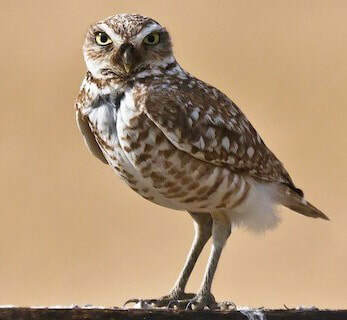 Photo Credits: Burrowing Owl - Cornell Lab of Ornithology; Tricolored Blackbird - Audubon; Back Rail - Phil Robertson; Swainson’s Hawk - Cornell Lab of Ornithology. and ditch banks. Can overwinter in small burrows made by other creatures and in soil crevices. 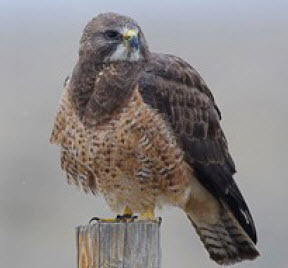 Lives in a variety of habitats in or near water sources, including marshes, ponds, riverine and riparian habitats, upland grasslands and oak woodland. Additionally found in urban riparian, wetland and woodland areas. 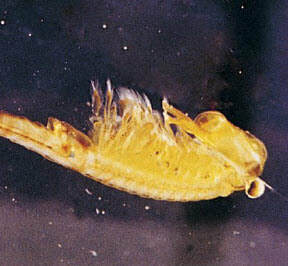 Overwinters in both aquatic and terrestrial habitats. 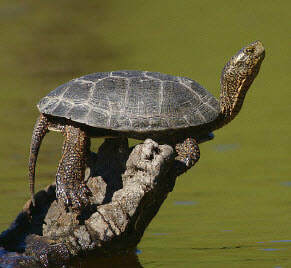 ​Photo Credits: Giant Gartersnake - Gary Nafis, CaliforniaHerps.com; Western Pond Turtle - Yathin S. Krishnappa. 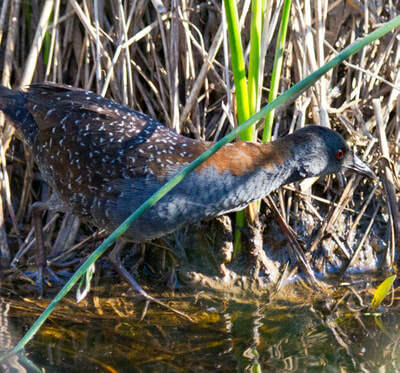 Inhabits a variety of aquatic habitat types including ponds, wetlands, riverine, riparian and marsh habitats. 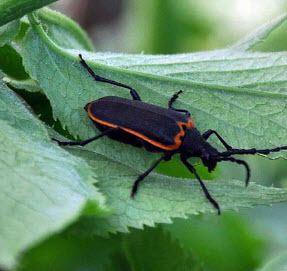 Also inhabits upland grasslands, oak woodland and urban riparian, wetland and woodland areas. Occupies rocky streams year-round in foothills above 500’ elevations in riverine and riparian habitats. 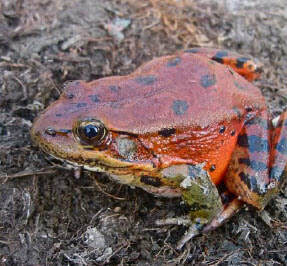 California Red-Legged Frog - Edgar Ortega, CaliforniaHerps.com; Foothill Yellow-Legged Frog - Gary Nafis, CaliforniaHerps.com. substrate to be successful. Instream and overhead cover (e.g., undercut banks, overhanging tree branches, etc.) are important for juveniles. 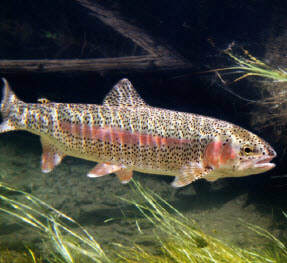 Habitats in freshwater streams need suitable water temperature (<46–75ºF). 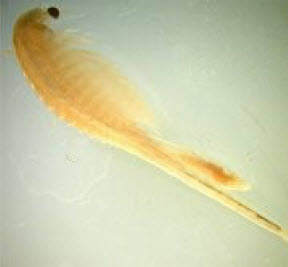 Spawning and incubation require correct water velocity, temperature (<53–60ºF), depth, and substrate to be successful. Instream and overhead cover (e.g., undercut banks, overhanging tree branches, etc.) are important for juveniles. 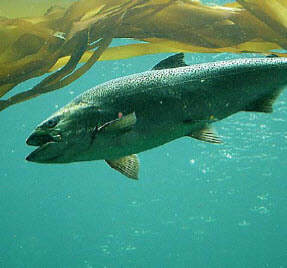 Photo credits: Steelhead - Underwater-fish.blogspot.com; Chinook Salmon - Oregon State University. Inhabits rain-filled (vernal) pools and vernal pool complexes, generally situated in upland Valley habitats, that typically have turbid waters or aquatic vegetation that may provide shelter from predators. Inhabits rain-filled (vernal) pools and vernal pool complexes, generally situated in upland Valley grassland, that have grass or mud bottoms. Sacramento Valley vernal pool region. Habitats consist of elderberry shrubs occurring in valley oak woodland or elderberry savannas adjacent to riparian vegetation. 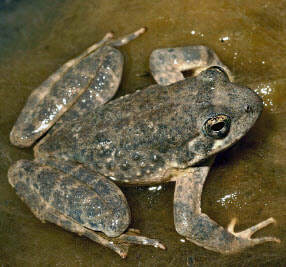 Primarily found in wet or riverine areas that support significant riparian zones. 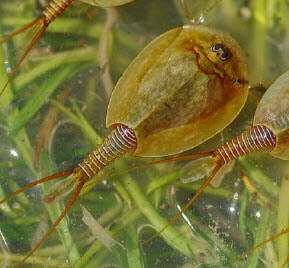 Photo credits: Vernal Pool Tadpole Shrimp - Doug Wirtz, Arkive.org; Vernal Pool Fairy Shrimp - Earth.com; Conservancy Fairy Shrimp - USFWS; Valley Elderberry Longhorn Beetle - Brian Hansen, USFWS.